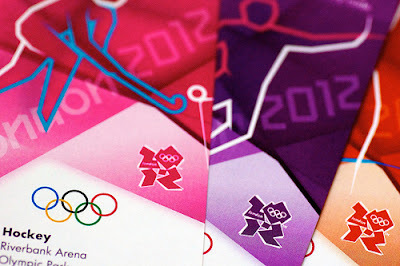 TRG blog: Are Scalpers Winning the Gold at the London Olympics? To be sure, it’s a huge challenge to gauge demand and then arrive at a price model that makes sense for an event of this magnitude. What is this seat worth? When speaking about pricing at industry conferences, I commonly begin by rhetorically asking, “What is this chair worth?” As old ticket marketer, my answer is simple. It’s only worth what I can get for it – and my job is get as much as I can! This answer makes some folks uncomfortable. It’s not uncommon for someone in the audience to ask me about the role of “fairness” in pricing. Don’t we, as nonprofit publically-supported entities, have an obligation to be fair to our patrons? Being fair with prices in not a particularly new concept. The economic term for the issue is “Just Pricing”, meaning that the seller has a moral obligation do what is right and fair. Many societies enforce or regulate Just Pricing strategies. For example, usury laws are common in most U.S. states. Their purpose is to set maximum amounts of interest that can be charged to borrow money or establish price limits for water, ice and gasoline following a natural disaster. All of us whose lives were disrupted this summer can appreciate the need for Just Pricing. The devastating wild fires out West and ferocious storms and heat that punched out power grids from the Midwest through the East Coast limited supplies and increased demand for necessities. The injustice of price gouging under those circumstances is obvious. How does Just Pricing apply to tickets? The London organizers of the 2012 Olympic Games believed the answer was an unambiguous “yes” and built their pricing strategies around a concept described in an interesting blog posted on the HBR Blog Network written by Marco Bertini of the London Business School and John T. Gourville from the Harvard Business School. For the London organizers, the goal was to make the Olympiad “Everybody’s Games”. They wanted ticket buyers to become “partners”, participating in ticket allocation lotteries and with venues that were scaled only after the orders” were received. The London model is built on what professors Bertini and Gourville call “Shared-value pricing”, a “nascent and evolving strategy” based on the belief that with “fundamental shifts consumers’ power and expectation, customers will have dwindling patience for antagonistic pricing.” The goal is to view “customers as partners in value creation”. It didn’t work in London. I must confess that I have a tough time following the goal logic of fairness and openness that is executed by lotteries and the cynicism of sales and inventory plans that are put in place after the fact. So how has it worked? Based on a recent report from Bloomberg News, not so well. According to Bloomberg, “Ticket prices to sold out events at the London Olympics have climbed as high as 20 times face value on the secondary market. The Men’s basketball, track and field and the Opening-Ceremony are commanding top dollar” (er, pounds sterling). Predictably, re-sellers did what all scalpers, aka, the secondary ticket market, do best. They step in to fill the gap when values don’t match price. My observation is that Mr. Buffet has better application to the job of pricing tickets than the “Shared Value” approach. The value proposition of most patrons is to get the best seat at the best price. And if the venue “gets it wrong,” customers do one of two things. If the asking price is low, consumers will exploit the “deal.” If the price is too high, consumers invariably pass on the event. When price and value are balanced, everybody wins. The patron gets a great seat at a price that they believe is fair. And, in TRG’s experience, the happiest patrons are most frequently those who pay the highest price for seats they really wanted, not those who got the cheapest ticket price. Are re-sellers filling the value gap in your pricing strategy? Comment, question here.